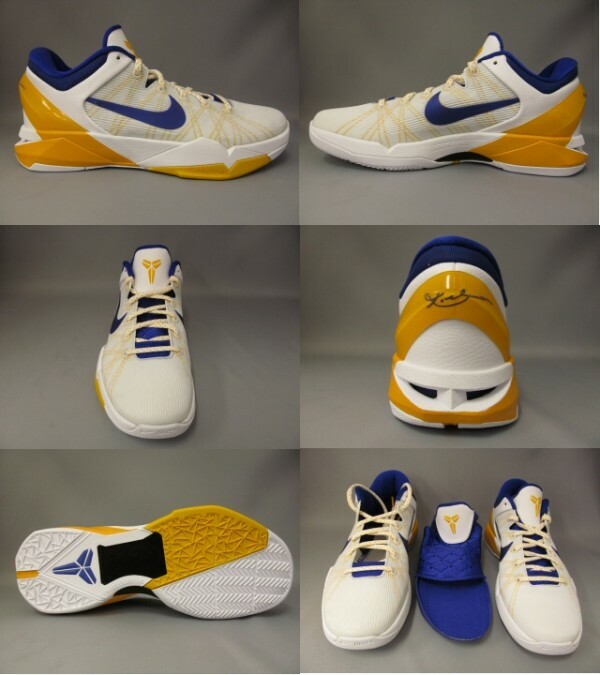 Another Zoom Kobe VII that's on the way this spring is this all new pair already seen on the feet of Mr. Bryant during recent Lakers' home games. Matching both the lakers tradtional home uniforms and alternate white uniforms, the Zoom Kobe VII is dressed in a white-based color scheme, with classic Lakers team colors bringing them to life throughout. Purple handles the tongue, liner and Swoosh on them, while del sole handles the tongue Shozoku logo, speckled laces, Swoosh, Flywire rands, external heel counter, and midsole down below. 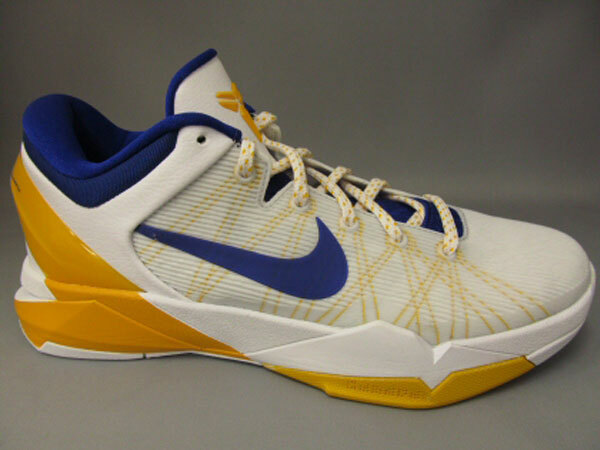 This Lakers' home colorway of the Zoom Kobe VII is scheduled to release March 31st at Nike Basketball retailers nationwide.